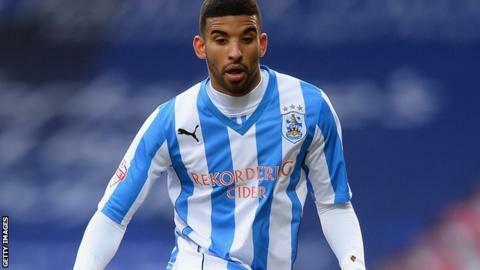 Huddersfield have offered new deals to midfielders Duane Holmes and Oscar Gobern and striker Ishmael Miller. Gobern, 24, joined Town from Southampton in June 2011 and played 11 times in 2014-15, while Miller, 28, scored three goals in 15 games after joining from Blackpool in February. Holmes, 20, only made one appearance for the Terriers this season. The club have released Anthony Gerrard, Jonathan Stead, Martin Paterson, Jake Carroll and Daniel Carr. Defender Gerrard, 29, and striker Stead, 32, ended the season on loan in League One with Oldham and Bradford respectively. Striker Paterson, 27, joined Major League Soccer side Orlando City on loan in January and his loan deal with them runs until his Town contract officially expires on 30 June. Full-back Carroll, 23, spent time on loan at Scottish Premiership side Partick Thistle while striker Carr, 20, had loan stints with both Mansfield and Dagenham & Redbridge this season.